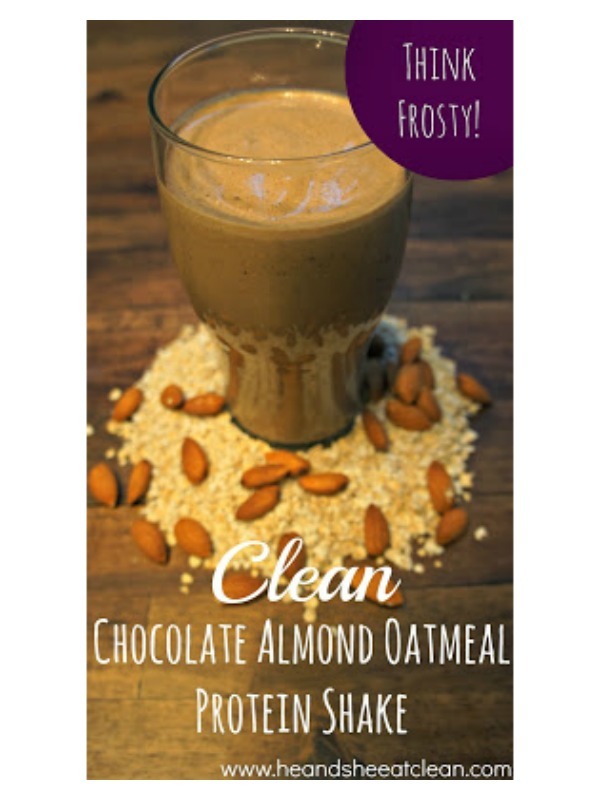 Chocolate Almond Oatmeal Protein Shake…Doesn’t that sound delicious? Well, guess what!!??!? It will sound even better after you read this – it tastes JUST LIKE a frosty! Yep! I grabbed myself a spoon and enjoyed my clean, healthy treat sans the guilt! Blend in a blender or food processor until desired consistency is achieved. This sounds great for a bit of chocolate instead of being overwhelmed with chocolate in store bought protein shakes. It sounds really yummy and I can’t wait to try it!